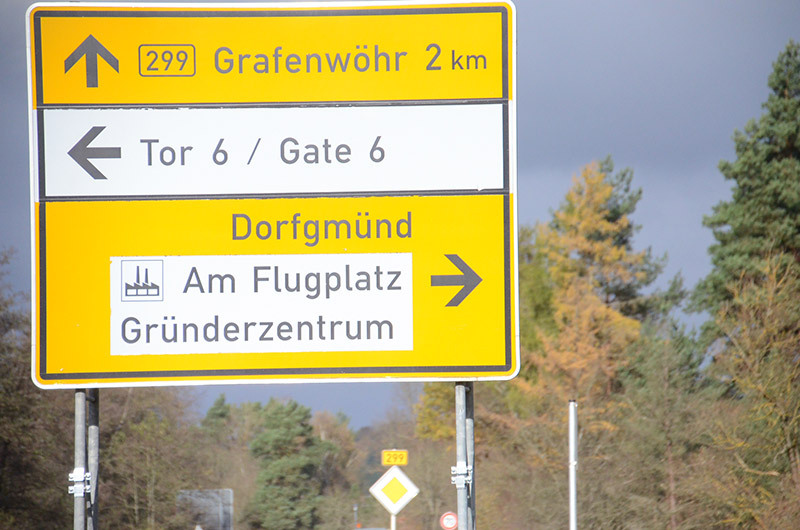 GRAFENWOEHR, Germany — Tower Barracks Gate 6 will close to inbound POV traffic May 14-25 as construction crews re-organize the 24/7 gate and increase the installation’s overall physical security and force protection. During the reconstruction project, all POV inbound traffic coming from B299 will be redirected to Gate 3, which will remain open 24/7. DOD ID cardholders can sign guests on- and off-post 24/7 at Gate 3 from May 14-25. Gate 3 is across from McDonald’s. Gate 6 remains open 24/7 to inbound commercial trucks and tactical vehicles only. Gate 6 will remain open to all outbound traffic. The reorganization project aims to make access through Gate 6 more customer-friendly, according to DPW leadership. It will divide truck and POV lanes and more clearly establish access. USAG Bavaria’s Directorate of Public Works was awarded the project last year to reorganize Gate 6.